Cinco de Mayo? AS IF. We are Chinese- and really have no idea what Cinco de Mayo is except for the context clues that it's Mexican and that it happens in May (the 5th of May to be exact- which I learned only after I googled it :p). But what the hell. 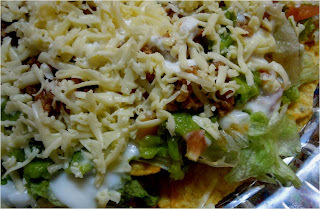 Mexican food has been gaining a huge popularity in this part of the world, as proven with some experiments I've done with this cuisine and it's just plain fantastic. Cinco de Mayo- let's celebrate! up close: so colorful! and just creamy! Know how to do this after the jump! 1/2 C Taco Meat filling- instructions below. 1. 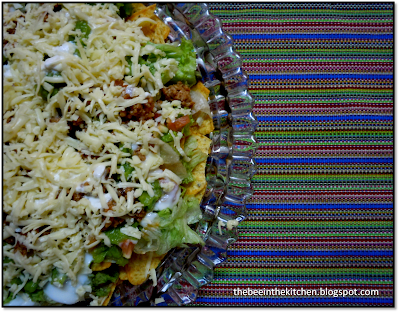 Prepare the taco meat by sauteing 250g ground meat (maybe pork or beef, or a mix of both). Add 1/2 C tomato sauce, small pouch of baked beans and Cajun Seasoning. Adjust according to taste. You may add a bit of salt or maybe a bit more Cajun Seasoning. Just remember that the flavor will still be toned down a bit by the veggies. Set the taco meat aside. 2. In a large plate, assemble your salad by lining the bottom with tortilla chips, follow with lettuce. 3. 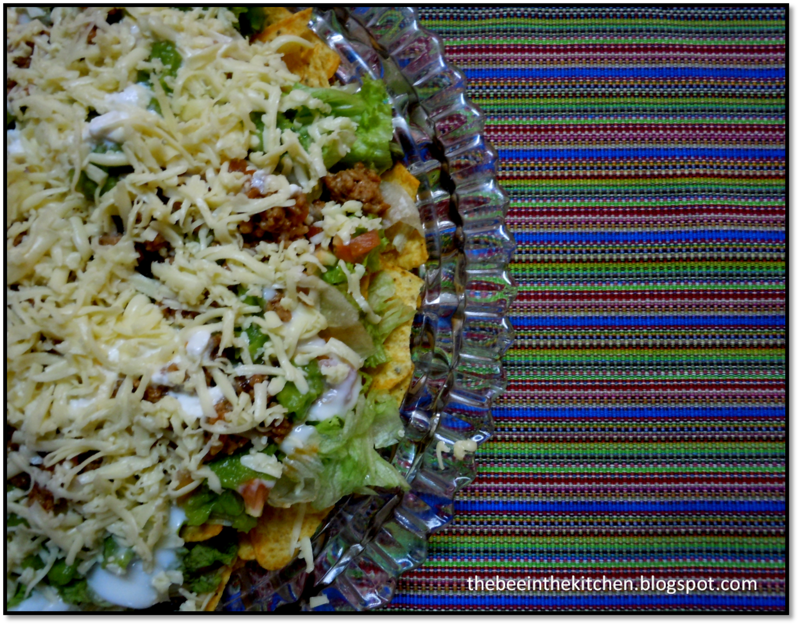 Scatter the taco meat and diced tomatoes on top of the lettuce. 4. Then spread the guacamole, then drizzle with plain yogurt (or sour cream). p.s promise to be more vigilant and post more often.